By Ian Pollard in News and Views, Uncategorized on 22nd January 2019 .
easyJet plc EZJ made a good start to the 2019 financial year with robust customer demand and ancillary sales.At least that is the official version. Flying at Tegel had what is described as a dilutive impact. as did the Christmas drone incidents at Gatwick, or perhaps more accurately, the Christmas no drone incidents at Gatwick. The Chief Executive is proud of the way the teams worked around the clock to mitigate the impact of the incident and looked after affected customers. Total revenue in the first quarter to 31 December 2018 increased by 13.7% and passenger numbers in the quarter were up by 15.1% to 21.6 million. Unusually for easyJet load factor decreased by two percentage points to 89.7% and total revenue per seat was down by 4.2%. So perhaps when you get into the real statistics where the company usually does shine, on a comparative basis, things were not quite as robust as at first appears, with. more empty seats and a nearly 5% fall in spend per passenger. Dixons Carphone plc DC produced record sale in the 10 week Christmas period to the 5th January and did so against a strong backdrop. UK & Ireland like for like sales rose by 2% whilst group like for like only managed a 1% rise. Mobile sales in the UK and Ireland look to have been a disaster area with reported revenue down by 12% but that does not seem to matter too much because it was expected. As usual international revenue did well with a 5% rise and accounted for almost 40% of sales. Good progress has been made with what it describes as its long term plans to deliver more engaged colleague which may appear to mean that it has woken up to the fact that customer service level can be fairly abysmal, just try paying for something in Greece. The outstanding performance came from Gaming, up 60% year-on-year. 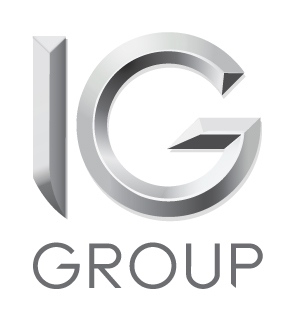 IG Group Hldngs plc IGG Net trading revenue for the six months to the 30th November fell by 6% whilst operating expenses rose by 4%. Operating profit declined by 18% and basic earnings per share by 16%. Not surprisingly revenue in in 2019 will be lower than in 2018. The Chief Executive is excited to bring his experience in strategy and product innovation to the company but his confidence is not such that a return to growth is expected until after 2019. ZOO Digital Group plc ZOO updates on current trading for the year ending 31 March 2019.The second half performance has been affected by the loss of a single, material project, Revenues from DVD and Blu-ray titles in the second half will be significantly lower than anticipated because the overall market decline has accelerated more quickly than envisaged. he Company now expects revenues for the second half to be comparable to those in the first half and approximately 10% below full year expectations.Nonetheless the company’s excitement for the future remains undiminished.